Some more details about the soon-to-be-launched 2014 Toyota Corolla Altis have been revealed. The car will be launched on the 27th of May and it is set to receive a comprehensive upgrade inside-out. The car will be the newest in its category when launched, most of its competition will receive updates only later in 2014 or in 2015, which leaves Toyota with a lot of time to position the Altis properly. The current competition for the Corolla Altis include the Hyundai Elantra, the Volkswagen Jetta, the Chevrolet Cruze, the Skoda Octavia and the Renault Fluence. While current model of the Octavia and Fluence are the latest-gen models, the Elantra, Jetta and Cruze sold in India are based on platforms and may receive updates by 2015. The 2014 Toyota Corolla Altis is expected to cost Rs. 30,000 – 50,000 more as compared to the current model, so expect prices to be in the range of Rs. 12.50 Lakh – Rs. 16.50 Lakh. While there will be 5 petrol variants and 4 diesel variants. We have talked about design before, check out the updates below. Dimensions wise the new Corolla has grown in all directions except upwards, the length has grown by 80-mm, width by 16-mm but overall-height has decreased by 5-mm. Interior space has increased due to a 100-mm increase in wheelbase and better packaging. Engine options for the new Corolla remain unchanged from before, the 1.8-litre petrol and 1.4-litre diesel continue to do duty but have been tuned for better fuel-economy and drive-ability. The petrol automatic variant will get a new six-speed CVT with sequential shifting and added paddle-shifts behind the steering. We will be updating the news about the Corolla Altis as it comes closer to launch, keep tuned in to Car Blog India. As per a recent update by our fellow bloggers at CarToq, the new 2014 Toyota Corolla Altis India launch is planned for 27th of May 2014. The new Corolla packs in a refreshed look, option between a 1.8 Litre petrol and 1.4 litre diesel motors, new design elements, and a much longer wheelbase for more interior space. Talking about the engine performance, the 1.8 litre petrol engine puts out around 138 BHP of power and 173 Nm of torque. Customers get a choice of 6 speed manual or a 7 speed CVT automatic transmission system. The D4D diesel motor of 1.4 litre on the 2014 Toyota Corolla Altis will put out a peak power of 88 BHP and peak torque of 205 Nm, which may seem low powered compared to the petrol counterpart, but the high torque makes up for it. There will only be a manual transmission option and no automatic for the diesel. The diesel motor comes with a VGT (variable geometry turbocharger) for a high performance torque band across the RPM range. Some other features added on 2014 Toyota Corolla Altis for India will include LED headlamps and tail lamps, reclining rear seats, start-stop button, 7 inch touch screen infotainment system with GPS navigation, rain sensing wipers to name a few. At the price segment where the Altis is placed (between Rs. 12 and 17 Lakhs), it is a potent competitor for cars like the Jetta and Cruze. With new features and styling, the prices are expected to go up by around Rs. 50,000 to Rs. 80,000, even then it will be a good competition to the D-Segment sedans in the segment. The Toyota Corolla has come a long way. First launched in 1966, the brand is now the best selling car of all time, with over 39 million units sold worldwide (approx. figure till end of 2012). The reason for its popularity can be found if we analyse the two generations of Corollas Toyota has officially sold in India. The Corolla is reliable, has fairly good quality parts inside-out, has comfy rear seats, is fuel-efficient (ARAI figure of 21.43 for the diesel versions) and it’s ride comfort is one of the best in India. That said, in India rivals like the Hyundai Elantra and the Chevrolet Cruze have been really putting a dent in the Corolla’s sales figures. Internationally, it has been facing stiff competition from the Mazda 3, Honda Civic, Ford Focus and others. One reason why the rivals were thriving? They had offerings that were more stylish than the Corolla. Are you waiting for the 2014 Toyota Corolla India launch? Let us know in the comments section below. Indian Autos Blog reports that Toyota India will showcase, please note, showcase the 2014 Toyota Corolla at the 2014 Indian Auto Expo to be held in February 2014 at Noida. There is no word on when it will be launched in India though, we expect it to be in the market by the middle of 2014. Toyota has started testing the new Corolla in India, and the company is not expected to take too much time introducing the car into the market. Rivals have decimated the current Corolla Altis and Toyota would like to take back a considerable market chunk. 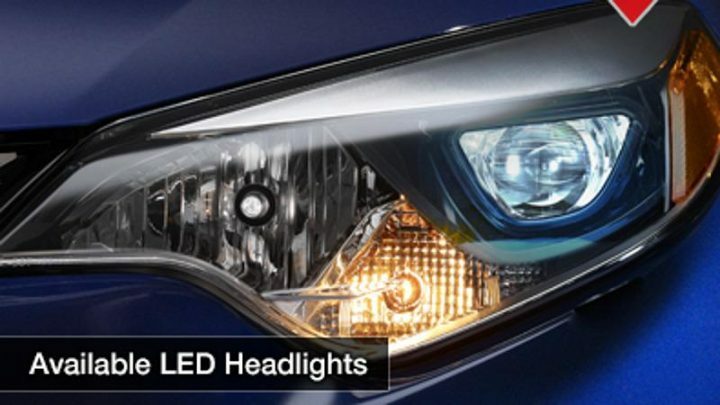 We’ll keep our eyes and ears open for more news on the 2014 Toyota Corolla, keep tuned in To Car Blog India. The 2014 Toyota Corolla Altis has been launched in Taiwan, a market where the previous generation car was among the 5-best selling cars. 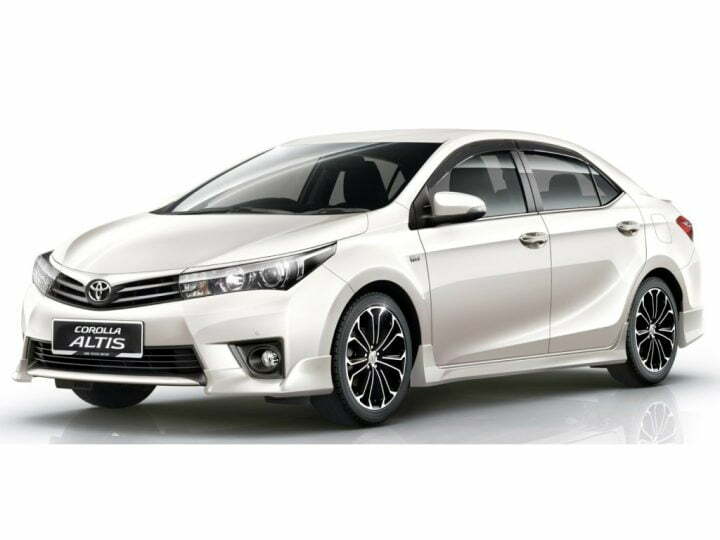 Toyota is offering the Corolla Altis in 5 variants: Elegance, Classic, Deluxe, Monarch and ‘Z’. The lower end ‘Elelgance’ model has been priced at 646,000 New Taiwan Dollar (Rs. 13.57 lakh) and the high end ‘Z’ variant is priced at 769,000 New Taiwan Dollar (Rs. 16.15 lakh). 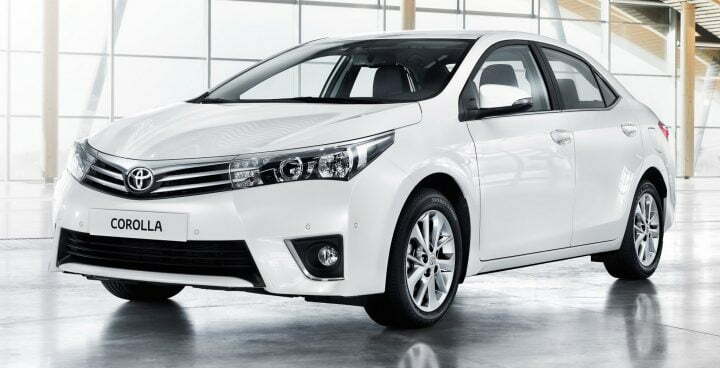 The new Toyota Corolla was spotted testing in India in September 2013, and with its launch in Asia we can look forward to the company launching the car here pretty soon. Toyota is expected to launch the car in India early in 2014, the new corolla promises to be a great evolution over the current car. 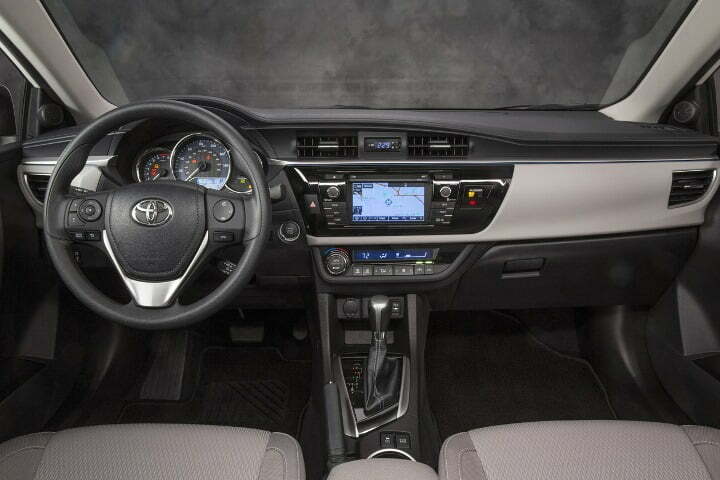 What do you think of the 2014 Toyota Corolla? What should Toyota India do to ensure that the car is a success in India? Let us know in the comments section below. This could mean that when launched in India (we will be getting the European version of the car), Toyota could price it pretty aggressively. We do not expect much of a raise in terms of price, the Toyota Corolla Altis is now sold in the price range of Rs. 11.74 Lakh to Rs. 15.69 Lakh. 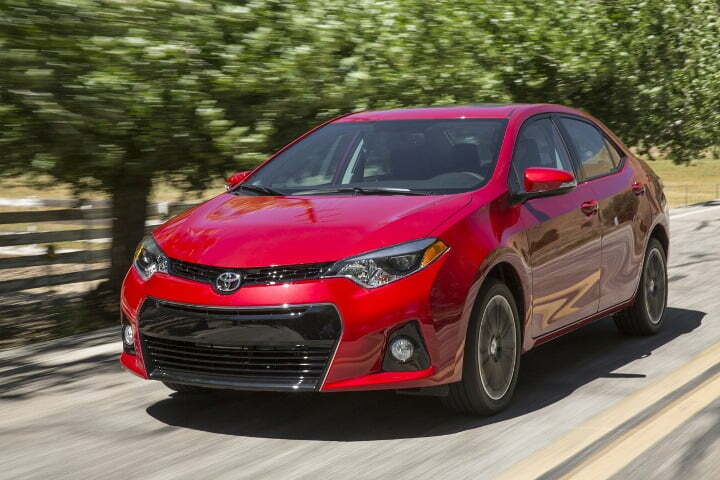 The 2014 Toyota Corolla has debuted for international markets today. The good news is that Toyota has kept most of the aggressive styling seen on the Furia concept on for the Corolla, although it has been toned down. It still looks pretty stunning, don’t you think? The styling may not be altered much for the Indian variant of the Corolla, expect most of this stunning looking thing to land up on our shores. Pictured above is the ‘S’ variant of the new Corolla, which gets alloy wheels, a large air intake at front, angular headlights with LED lamps (which look striking) which are integrated with the grille, tight body lines, and wrap-around tail-lamps. Inside, the Corolla gets a dual-tone interior, trim colours will most probably be different for India, it would be sacrilegious if it wasn’t offered without a beige option! Anyway, the design inside is a huge improvement over the current car, the three-dial gauge looks cool, the stitching on the dash looks classy and the dash is not very cluttered. 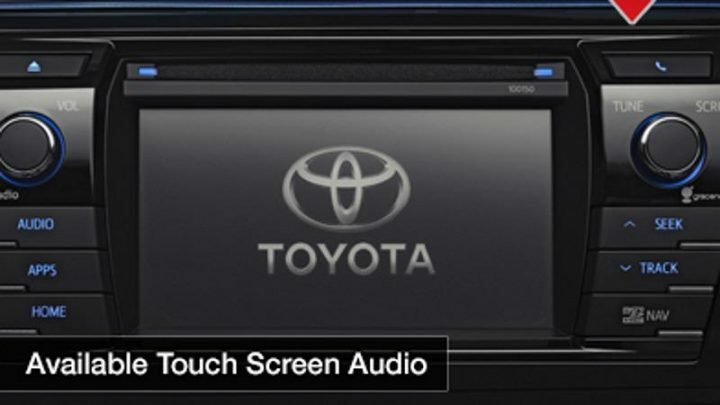 There’s a new big-screen infotainment system on the Corolla which may or may not find its way to India, but the rest of stuff that you see here will definitely be introduced. Interior space has been increased, the wheelbase now grows to 2700 mm from the Altis’s 2600 mm, there will be a lot more room for the rear passengers. 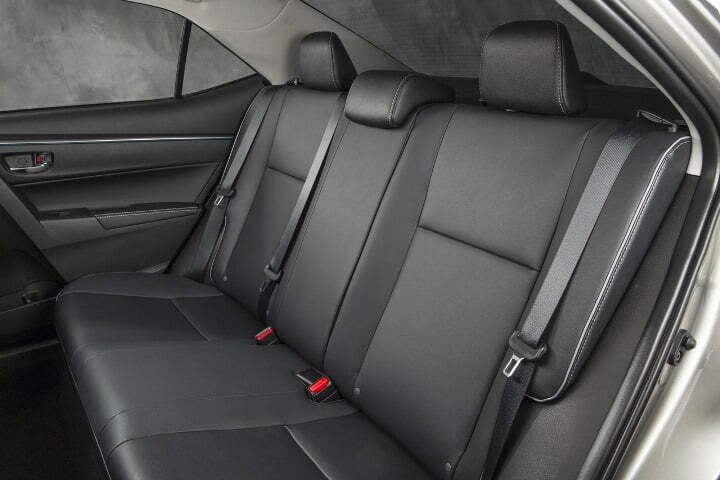 The front seatbacks have been slimmed for more space for the rear passengers, the front seats themselves have been redesigned for more comfort. In the U.S., the Corolla is powered by two 1.8 litre engines, the first 132 BHP engine powers the L, LE and the S variants, the LE Eco variant gets a 140 BHP version of the same engine. The base ‘L’ variant gets either a four-speed automatic transmission or a six-speed manual. The other variants get the option of a ‘7-step’ CVT transmission, which can be controlled by sifter buttons on the steering wheel or through the gear lever. In India, the 1.8 litre petrol and 1.4 litre diesel engines found on the Altis might be plonked into the new Corolla, though they might be tweaked for performace and driveability. Toyota is expected to bring the car to India in 2014. The design of the tail lamps and spoiler is similar to that of the Corolla Furia Concept shown in January 2013. 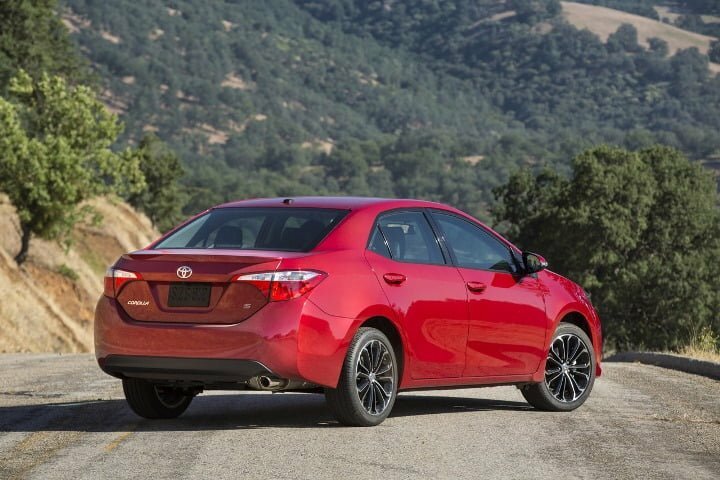 And the image above, first posted on Toyota USA’s Facebook page, though cropped heavily and taken from an unusual angle, shows that the 2014 Toyota Corolla does get the sharp tail lamps from the concept, though it ditches the overtly-fancy design elements. This could mean that the production car does follow the design language followed on the Furia Concept. The photo also shows an ‘S’ badge on the boot, it could mean that Toyota plans to launch sporty versions of the Corolla, but we’ll have to wait till June 6 to find out. Toyota hasn’t officially released any details about the new Corolla’s engine and transmission options. Toyota had first hinted at introducing a new Corolla at the 2013 North American International Auto Show held in January last year, when they showcased the Corolla Furia Concept. The obvious change was that the concept was pretty stylish, a departure from the earlier cars where styling was decidedly kept simple and contemporary. Apart from the edgy styling, the concept was also 75mm longer, 45mm wider and 50mm lower than the standard Corolla, it’s wheelbase was also increased by 100mm. You can see some leaked photos of the upcoming Corolla and read more about the Corolla Furia Concept here.